I have been doing more birding this trip and less photography but this was an opportunity I couldn’t pass up. 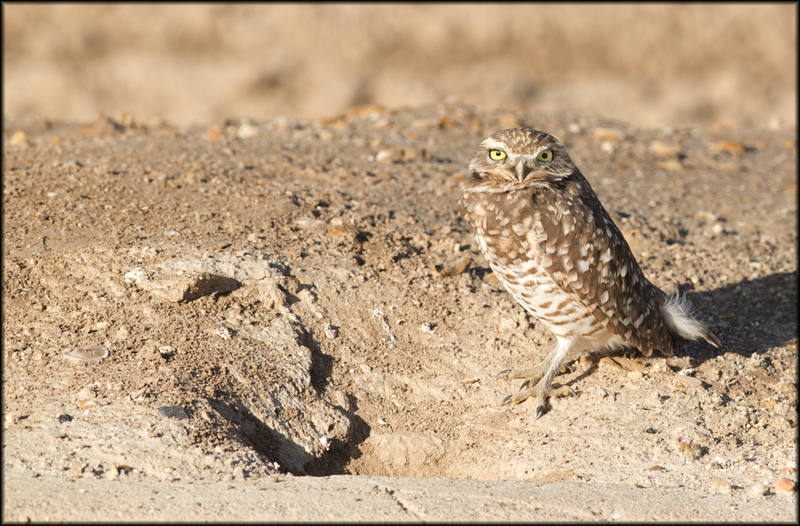 While not a life bird for me, I can never get enough of Owls….this is my 10th Owl Species of the year and with luck I may find a few more in Texas. Along W. Banister Rd. between Westmoreland and Brawley, CA., I found at least 10. They all disappeared as I came close with the car. This little guy just stood and stared, I pulled up and took this photo out the window. Tomorrow I fly to Texas and can only hope for good weather and birds.